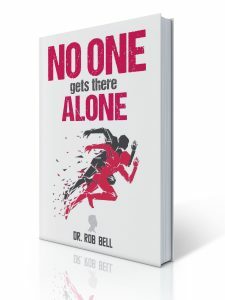 After NO ONE Gets There ALONE was published, I was fried. My 6th book was so difficult to write and it took so long that I was simply cashed. I told myself I was. That and I became annoyed at every little mundane task. My tolerance level for frustration just was not there. My emotional tank was empty. Bill Walsh was one of greatest NFL coaches of all-time. Immediately after winning his 3rd Super Bowl with the team of the 80’s, the 49ers, he knew he was finished coaching. Picture it, here is Coach Walsh in the locker room during the Super Bowl celebration. Brent Musburger asked the question if that was his last game? He started crying because he knew it was over. Bill Walsh said later ” I felt like an outsider.” An amazing reaction to winning the Super Bowl! What better mentor to teach us all about how to avoid burnout?